There are a number of tasks around the house that you might want to go DIY on. While hiring a professional is convenient, if you have the skills, you can sharpen or polish equipment and materials right in the comfort of your home. For this purpose, you require the right tools at your disposal. One of the tools that you need is an angle grinder. However, selecting the right angle grinder can be a bit tedious, because there are so many options to choose from. Therefore, you need to keep a few factors in mind so you can choose the right angle grinder for your needs and budget. 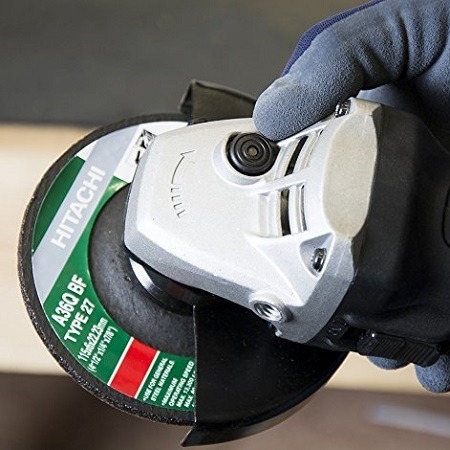 When it comes to angle grinders, you will find few better options than the Hitachi G12SR﻿﻿4. 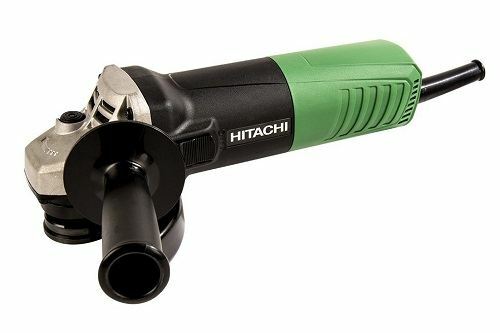 This angle grinder from Hitachi offers a number of features that make grinding easier for you. The unit features a powerful 6.2-amp motor, enabling you to generate the power necessary to tackle the toughest materials. Portability - Despite being a heavyweight performer, this angle grinder is actually light and compact. Its design enables you to not only carry but maneuver the grinder in any direction and angle you desire. The unit weighs only 4 lbs, offering a high power to weight ratio. This gives you complete control over the operation of the angle grinder and use it for any purpose you want. 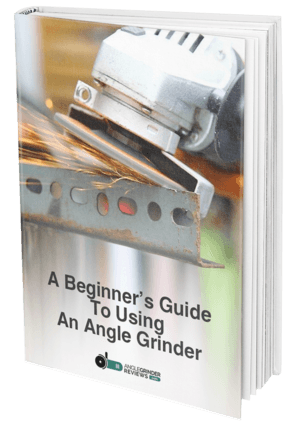 Easy Grip - One of the issues people face when using angle grinders or other similar equipment is the strain and fatigue they feel in their arms, especially when operating it for long periods. However, this is not the case with the Hitachi G12SR4. The grip diameter of this angle grinder is small, which offers you good control when operating it and does not cause excess fatigue. This enables you to complete any project you set your mind to without any major hassle. 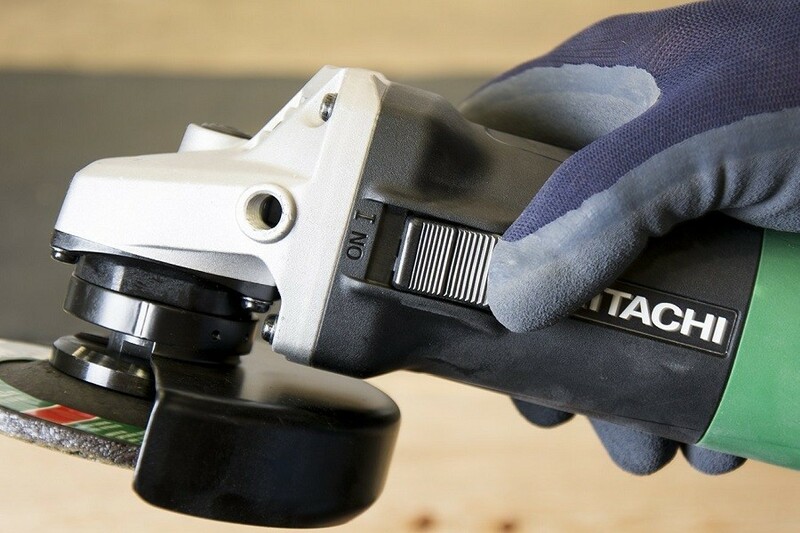 Multi-Purpose Design - You can use this angle grinder for a variety of applications. You can use it for getting rid of rust and paint from any equipment you have at home, for instance lawnmower. You can also sand a variety of surfaces using this unit as well as grind metal and masonry. Cooling Efficiency - A key feature of this angle grinder is that its design allows for cooling efficiency. Even if you use the unit for an extended period of time, it is unlikely to heat up significantly. This angle grinder is durable for sure. You can get the best value for your money by investing in this product. Compact Design - As mentioned above, the design of this angle grinder is compact, enabling you to operate it even if you are constricted for space. You can work on small projects, such as removing rust from any equipment at home. Accessory Changes - There is a special spindle lock on the unit that enables you to change accessories conveniently. This will allow you to make the most of your purchase and use this unit for a variety of purposes. There is also a trigger lock-on that makes it easy for you to use this unit for extended periods of time. Special Guard - There is a detachable guard with the angle grinder that you can attach to protect yourself when you are working on any project. Automatic Shutoff - The angle grinder will shut down automatically in case it gets overloaded. This angle grinder received an average rating of 4.2 stars out of 5 on Amazon. This indicates that a majority of customers were happy with their purchase and took the time to leave a positive review. A customer was highly impressed with the various speeds at which you can operate the angle grinder. He states that this enables you to use the product for a variety of purposes. He further says that you can adjust the speed according to the task you are performing. A customer praised the design of the angle grinder. He was pleased with the guard that comes with the unit that you can adjust and remove, as and when required. Plus, there is an automatic shutoff feature that shuts down the grinder if the machine is overloaded. Another customer stated that this angle grinder is a perfect alternative to the more expensive models available on the market. On the other hand, a customer complained that the angle grinder tends to overheat quickly, even when you operate it on a low speed. Another customer stated the same and said that the paddle switch doesn’t work properly. A customer stated that he kept plugging in the angle grinder but it shut off every time. This angle grinder is available in many variants on Amazon. The 6.2-Amp 4½-inch model is available for just under $40, while the units with more power are priced higher. Since there is free shipping on purchases over $35, you won’t have to pay anything extra. You can also purchase added protection for your unit, with 3-year protection costing under $10 and 4-year protection costing just under $10. You can look out for deals and discounts to economize your purchase and make it more affordable. 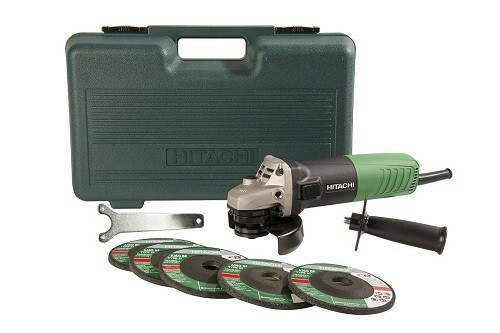 You can also visit Hitachi’s website for more information on where else you can purchase this angle grinder. Overall, the Hitachi G12SR4 is one of the best angle grinders on the market, particularly keeping its reasonable price in mind. You should definitely consider purchasing it if you are looking for a durable and top quality angle grinder that you want to use around the home.